SoftPlanet makes it possible for everyone to get free SoftwareMind download directly from our servers. There is no registration needed for downloading. Read this review only if you speak Arabic or you want your child to study in Arabic, because this is about a program that has only this language in its toolbox. SoftwareMind is created to help your children study math, but it also helps in reading stories and includes games and other features. In the end when your kid learns all that there is to learn, you can test his/her knowledge in different ways and various difficulties. SoftwareMind includes the option to solve various math problems, as your kid can divide, multiply, subtract and add, and the program gives different equations. There is also a table for adding and dividing, which can help in memorizing different solutions to the problems. After that you can give a timed test to your child and see how far he/she has gone in solving mathematical equations. The main negative side of the interface is that it's only in Arabic. Yes, we know that the numbers we use are also Arabic but to increase its usefulness for everyone developer Fahmi Najjar could have made an English version. 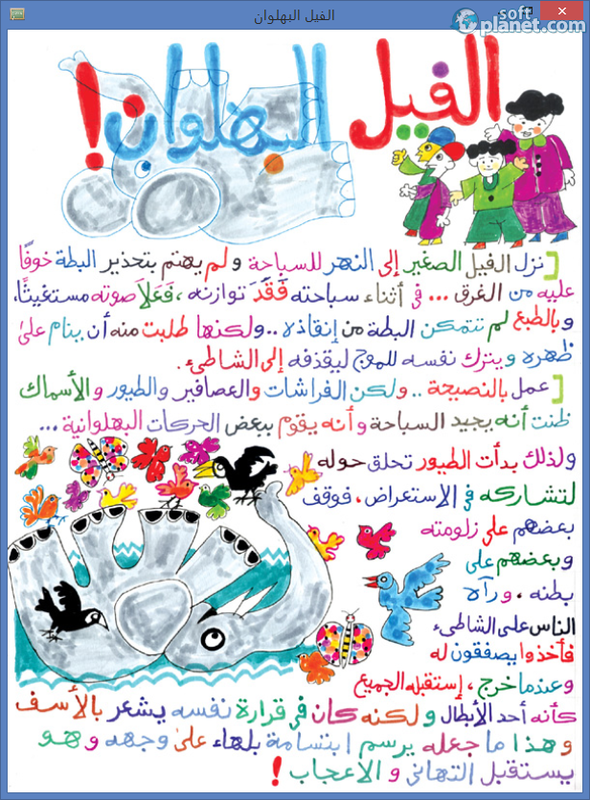 Probably because it is meant mainly for children from the Arab countries, it has only one language in its interface. But otherwise its view is child friendly for sure, because the buttons are big and easy to press with the mouse and also they have comprehensive pictures that are helpful, so that every child could understand what they are for. After your child is done with all math problems or different tests which can be given with this app, SoftwareMind offers to evaluate its success rate. A very interesting option is that you can show your kid different figures and ask him/her about the name of its shape. Also you can read different stories, but like every part of the interface they are also in Arabic. There is an integrated test about cartoons and their names, so your kid could remember them as well. SoftwareMind could have been a great app for all the children around the world, only if it wasn't in Arabic only. But if you want to teach your kid math problems, cartoon names, figures and read tales, then the app can be very helpful, but keep in mind the single language issue. Our security scan shows that SoftwareMind is clean from viruses. The current version of SoftwareMind has been scanned by our system, which contains 46 different anti-virus algorithms. That ensures that SoftwareMind 3.1.0.0 is 100% safe for your computer.